If you haven't read my review of The: Order 1886, I would highly recommend checking that out first since it will put many of these thoughts into context. For my money, a lot of the issues I had with The Order: 1886 goes back the the perceived disconnect from the game we were shown to what we finally got. 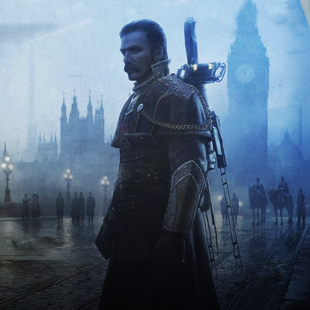 There were tons of interesting ideas in The Order: 1886, but instead of delivering on steampunk monster hunters in neo-London, we got got every action adventure cover shooter wrapped in some token copper wire and brass fixtures. I think this is going to be a big disappointment for a lot of folks, and I have some thoughts as to what could have salvaged it. Granted I'm not some auteur game designer, these are five ways that would have made the game better for me. Fair warning, I'm going to be talking about a bunch of aspects of the game. So spoilers ahead. There's something wrong when the Wikipedia plot synopsis sounds way more interesting than the game we are presented. It akin to when a dungeon master writes elaborate plot hooks with social, political, and geographical backstory for his fantasy kingdom and the players just want to punch some bandits and take their stuff. The alternate history lore for The Order: 1886 is really fascinating, and I struggle to think of why they wouldn't have focused on it more. The big reveal is that The Order is actually descended from King Arthur's Knights of the Round Table. Oh, and many of these current knights have been alive for centuries due to the restorative effects of Black Water - which is pretty heavily hinted to be a product of the Holy Grail. Oh yeah, we found that super important cup on our major quest, no big deal. Supposedly they've been fighting the monsters, half breeds, for years and years, and it's only now with the combination of Black Water keeping their finest knights around and the advance of modern science that their finally winning. It wouldn't hurt to have more of these monsters too. You fight a packs of lycans on 2-3 occasions, and then an elder werewolf and a vampire - which is the exact same scripted QTE fight. That's it. Granted I can appreciate when something isn't overly elaborated, but there's being subtle and there's missing out on golden opportunity. Imagine for instance a game where you play as Grayson, where even the same conspiracy plot plays out over centuries. Along the way you get to see London advance from medieval castles to sprawling industrial metropolis, and in turn your weapons and equipment advance with it. Maybe this is one that can be chalked up to off base expectations, but you see both the Arc Gun and Thermite Rifle in the reveal trailers and they feature prominently in the game's other marketing. It gives the impression that there's this wide array of scientific marvels that you're beating back these mythological horrors with. And these two weapons are really fun to play with, the Arc Gun is kind of what you'd expect but at least it fits an interesting niche in the gameplay, and Thermite Rifle is just a spectacle to behold. Sort of a weird and clunky hybrid of a flamethrower and a rocket launcher. The problem? Arc Gun and Thermite Rifle are basically it. Technically there's a air canister blast on one of the rifles and a triggered explosive grenade launcher, and you do get some kind of shoulder fired canon/rocket and a repeating crossbow for one section each, but none of these are really mind blowing. Literally every other weapon looks and behaves just like a World War II equivalent. There's a Garrand - complete with distinctive ping, a PPSh-41 submachine gun analogue, the main rifle is basically a BAR, a Ruger pistol, etc. When Nicola Tesla is your science adviser, you should be getting stuff a hell of a lot more interesting than a scoped sniper rifle from his lab. Where are all the other cool steampunk weapons? Even if you decided to focus mostly on normal firearms, this is where the sliding time scale would be pretty fun. The old adage of bringing a knife to a gun fight takes on new meaning when you have a fully automatic weapon against a bunch of muzzle loading muskets. What really exacerbated the problem is the inventory system. Even when you find one of the Arc Guns or Thermite Rifles you're forced to discard it soon after since ammo won't be forthcoming and you can only hold a single primary weapon. And Ready At Dawn, I noticed that there was a model used in the final sequence of a weapon we never get to actually fire. Nicola was using it to fend off a vampire, and Grayson even picks it up! But alas no fun new BFG tools for the final boss fight, it gets knocked out of your hands so you can have a QTE knife fight instead. To its credit, I think The Order: 1886 does a mostly commendable job of setting up the relationships between Grayson and most of the supporting cast, often giving little winks and nods at their shared history. It does break down a little for some major events though, you can't just tell us this character death is a major impact to the player character - you need to show it or give the player time to develop the connection. But all in all most of the characters are genuinely interesting and I'd like to know more about them, especially the whole notion that they're all hundreds of years old. There's a bunch of intriguing stories that could be told around that framing, even if its just dropping little goofy "back in my day" references. One little detail I was intrigued by, and I think shows that the developers had originally planned for more, has to do with the leading female character Lady Igraine. She wears this white lacy high collared neck garment with her uniform. At surface glance it looks like something vaguely fashion appropriate for that time period, but if you catch her at the right angle you'll notice that it's obscuring some pretty horrible scaring on her neck. It sort of looks like three huge claw marks, and she makes some comments during the the game that make it seem like she tired of the life as a knight. I kept waiting for the game to address it and it never does. There's a lot of interesting unexplored ground that could be covered if you'd be given the chance to see these characters in other scenarios.